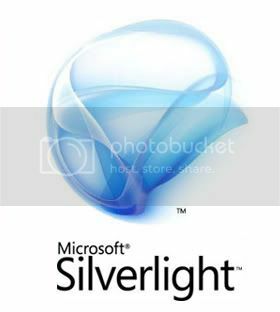 With the recent release of Caplin’s Streamlink for Silverlight it’s exciting to find out that Microsoft plan to release a Silverlight for Mobile devices. The goal of Silverlight is to provide a consistent experience across desktop and mobile phones. Developers will be able to easily optimize Silverlight applications for mobile form factors or run existing Silverlight applications on mobile phones. The great thing about this release is that any existing Silverlight applications should work on any mobile device with Silverlight installed. The question about this is that if you design a user interface for a desktop browser how will it fit on a windows mobile browser? Well, Microsoft plan to give developers the ability to “optimize Silverlight applications for mobile form factors” which sounds like they will give us a way of dealing with the obvious UI differences between desktop and mobile platforms, as well as the underlying runtime issues. We’ve already blogged about what impact Silverlight may have on single dealer portals. I’m really excited to see what developers can do using StreamLink for Silverlight to enable the real-time web on a windows mobile device. What opportunities might Streamlink for Silverlight Mobile enable? Read the Silverlight for Mobile FAQ for more information. Previous Previous post: Supporting IE6 – a poison chalice or the holy grail?